This week we have had a gloriously rainy week. In the desert this is not a common thing, so we are LOVING the week of cloudy skies, warm drinks, soup (more on that later) and crafts! My girls have been itching to dye easter eggs since we got a package from some sweet friends back home, but this mama wasn’t really up for dyeing eggs this week. Luckily, I found a couple non-dye ideas, which means less mess! 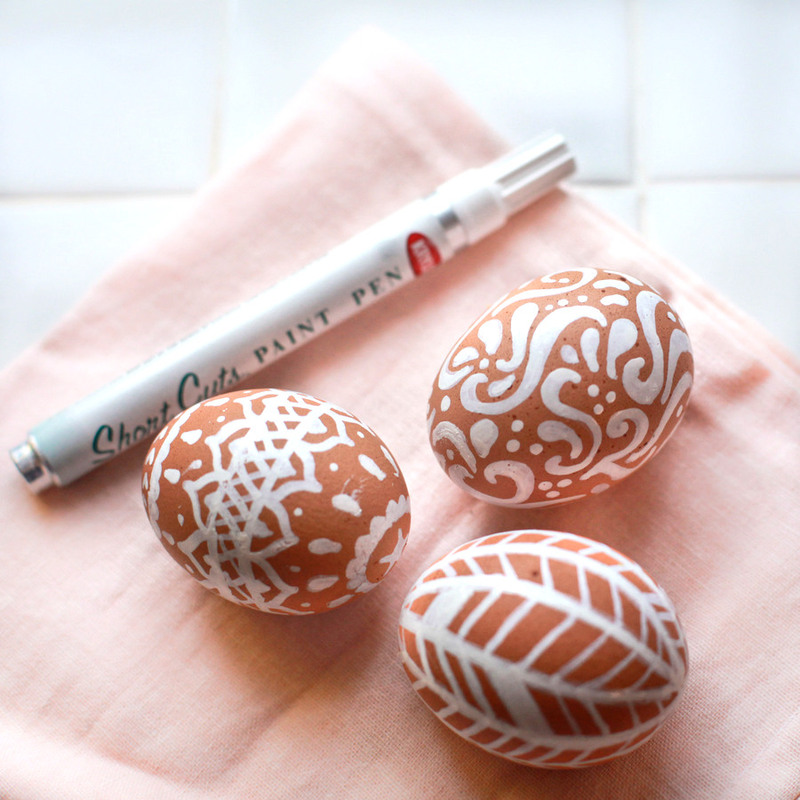 This idea is pretty basic, you take a white pen…and doodle on boiled brown eggs. You can use anything as inspiration. My eggs were inspired by a throw pillow, a plate, a shirt, and the henna a friend did on my hand a couple days ago (not kidding). You can use anything! One tip is DON’T refridgerate your eggs and then try to color on them with pens. The condensation + marker makes a big mess. So boil, dry and then decorate immediately. One word of caution though: If you’re planning on eating the eggs, check to make sure your pen is non-toxic. I didn’t do that and my pen said things like “could be fatal if swallowed” on the back?! Not sure how much of the toxic paint actually makes it through the shell? 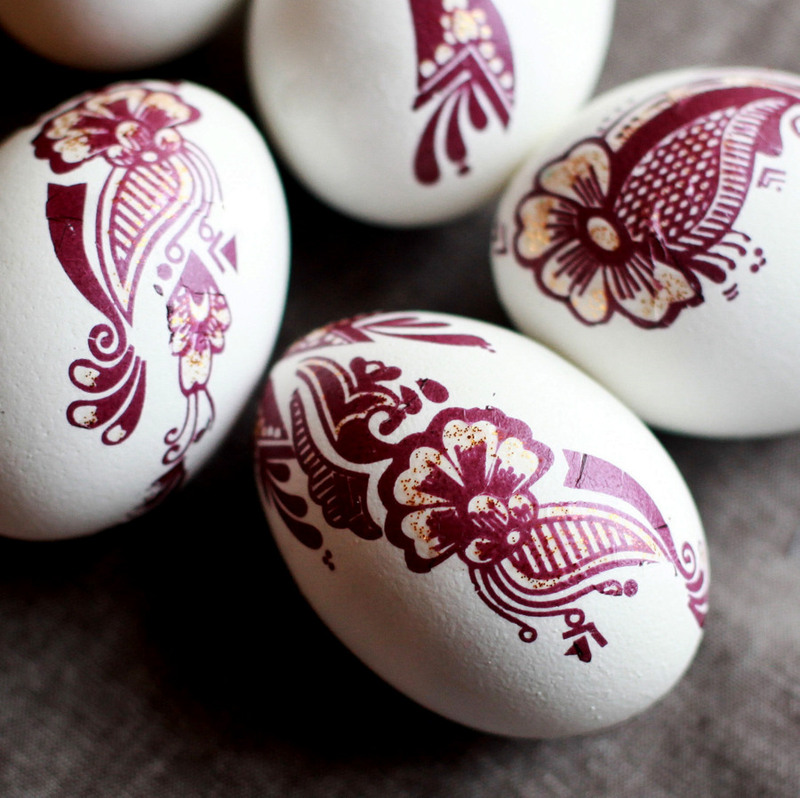 You could also blow out your eggs before you decorate, just to be safe. I LOVE the way these eggs turned out! Henna is pretty common here so lots of shops carry temporary henna tattoos. You can use any type of temporary tattoos and just follow the directions for application as if you were placing it on skin. 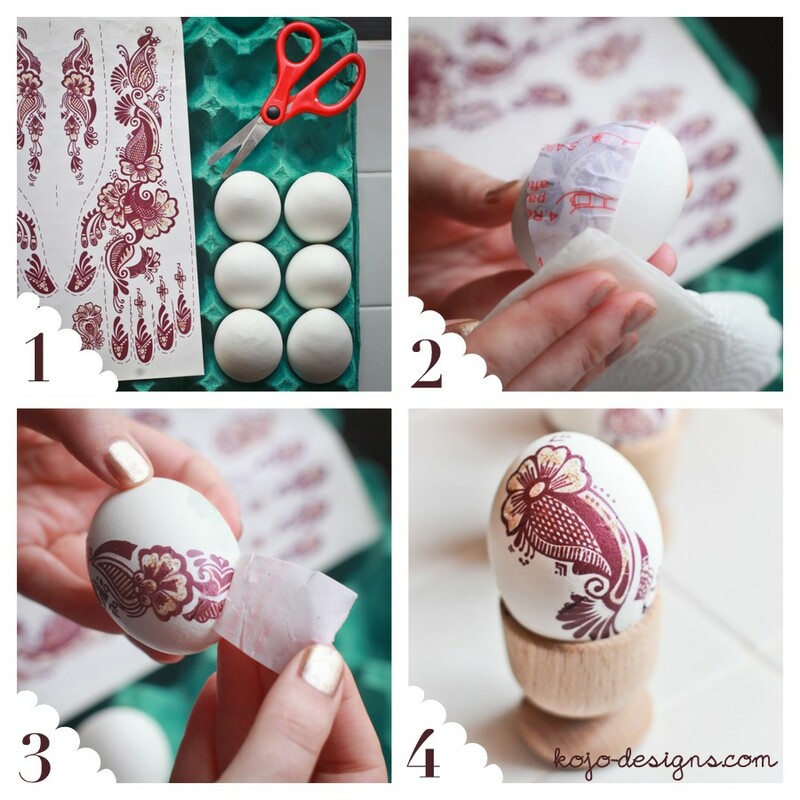 The curve on the egg can be a bit tricky on larger tattoos, so cut into smaller pieces or use small tattoos. Also, one thing that made it easier was making sure the egg was completely dry to start off, the tattoo stuck better to the dry egg than it did to a wet one. Any other simple egg ideas y’all have? Brilliant Jordan. I love them. 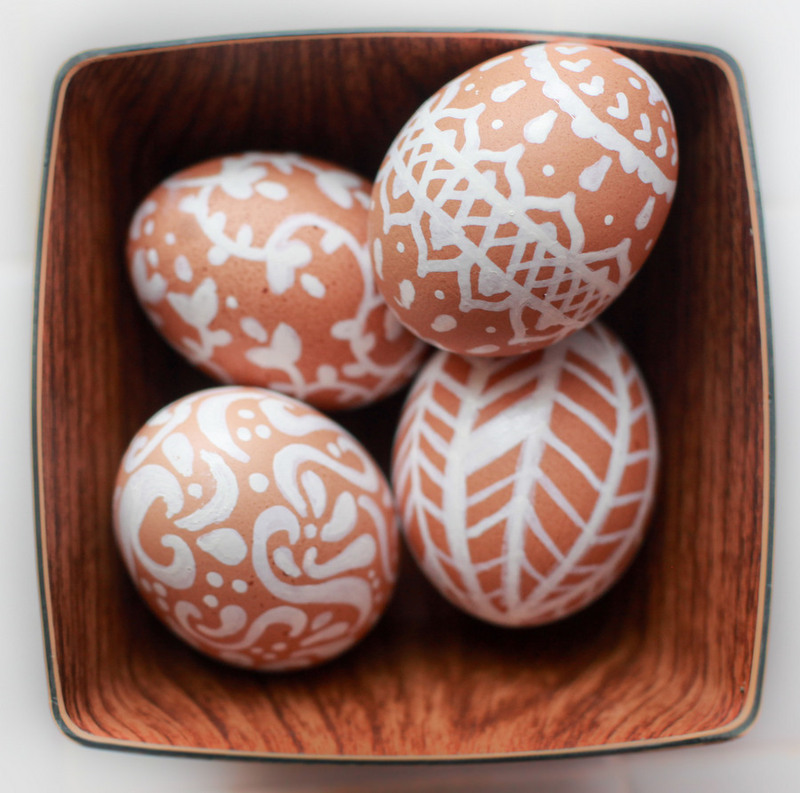 Your Easter eggs are absolutely gorgeous! Have you ever tried eatable ink? What a clever idea! 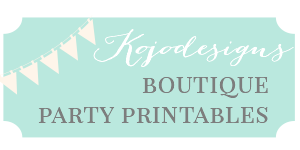 I would be happy to feature it on my blog, Create Happy Crafts. I hope you will stop by and submit your project. Just curious but where exactly is henna so common that lots of shops have tattoos? I love the way these look. Thanks for the brilliant idea. By the way eggs are very porous and I would not suggest eating them after using that white pen. But they look fab.